If you come to the library in the next few weeks, check out a new display called Winter Thoughts. 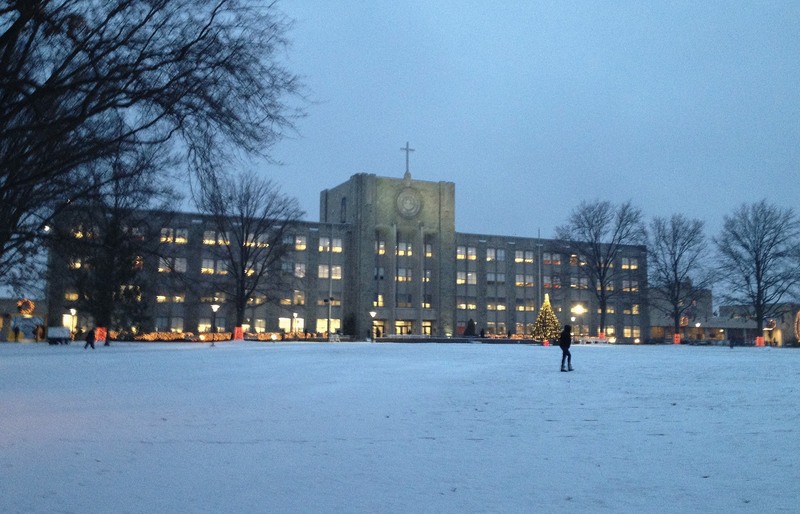 There are photographs of the St. John’s campus in winter, with accompanying quotes from authors such as Jack Kerouac, Virginia Woolf, Robert Frost, and Percy Bysshe Shelley. The exhibit is located in the 3rd floor lobby of St. Augustine Hall, across from the service desk.